One of the first – and probably the most famous – group of emigrants leaving Holland for the New World were not Dutch at all. 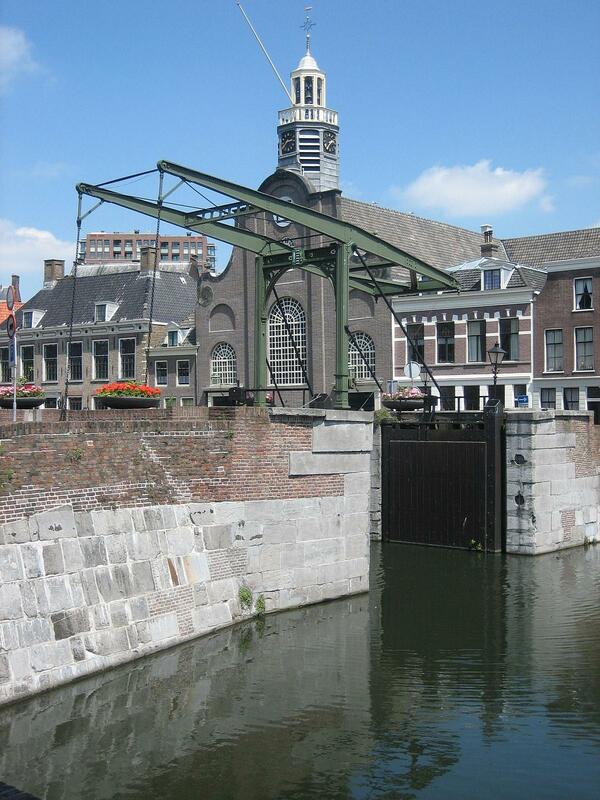 On 22 July (new style: 1 August) 1620 the Speedwell set sail from Delfshaven to Southampton. On board was a group of English puritans, living in exile in The Netherlands, and now leaving for America. In Southampton, the Speedwell was joined by the Mayflower, and the two ships left together, with destination America. 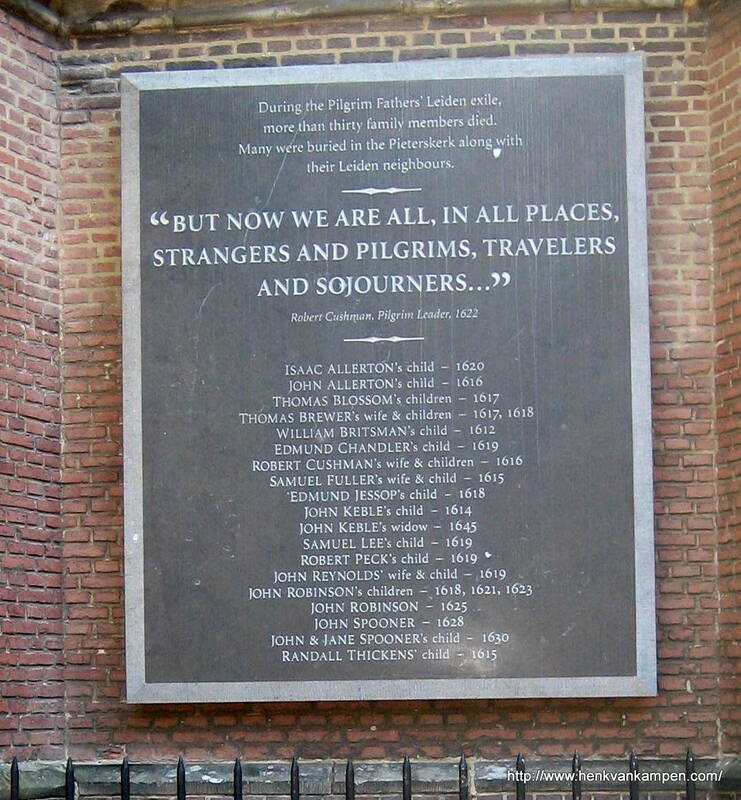 Twelve years earlier, in 1608, a group of English puritans fled the religious oppression of England and, after a short spell in Amsterdam, settled in Leiden, Holland, where they were free to practice their religion. The congregation in Leiden was not really a success. On the one hand, they enjoyed the freedom the Dutch republic offered (William Brewster could not have printed his pamphlets anywhere but in Holland), and some of them did quite well economically. On the other hand, a considerable part of the group was unable to find employ in the city, hampered by their rural backgrounds and the language barrier. After nearly a decade, the puritans decided to leave Holland again, triggered by the economic hardship of a part of the group, the fear of eventual assimilation of their small group into Dutch society and religion, and the wish to be missionaries, to spread the (puritan view of) the gospel. The decision to leave was probably made in 1617, but they did not leave for another three years. The first group left on the Speedwell, sailing from Delfshaven to Southampton, where they were joined by another group, still living in England, sailing on the Mayflower. Though the two ships left together for America, the Speedwell did not get any further than Plymouth. It seemed to be unfit for the ocean journey, and most passengers boarded the Mayflower. After a difficult journey, they finally reached Cape Cod in November 1620. The departure from Delfshaven must have been quite a spectacle. The pilgrims had gathered there the day before (including many that stayed behind). They spent the night together in prayer and singing hymns. After a prayer of their pastor John Robinson and an emotional parting, the Speedwell set sail, accompanied by gun salutes, waved farewell by their friends from Leiden and probably quite a few Delfshaven locals. I visited your museum back in 2003. What an extraordinary place it was indeed. The carvings, maps, canal construction, religious issues, the Dutch East Indian Company and excavation finds and displays were my favorite topic. I also came across some information regarding Dutch first contact with the indigenous americans. Do you have any informatoin on the Long Island Tribes, such as Mattinecoc, Shinnecock, Montauk or Unkachauge history? Thank you for your time.